Last week JPX dropped 2 surprises in one go and left many non-Thai collectors puzzled including ourselves. Animal Parade 3 : Halu by JPX x COARSE x Ejeab was announced and that led to confusion of whats happening with the original VARANUS that was shown at TTE 2017 as well as updated around 4 months ago. We have spoken to Jeep from JPX and one of the organisers of Thailand Toy Expo today to shed a little more light around VARANUS and the idea behind Animal Parade 3 : Halu. For those who aren’t familiar with ejeab we suggest you visit the Facebook page HERE where you can see the design inspiration comes from and the translation onto the chicken. 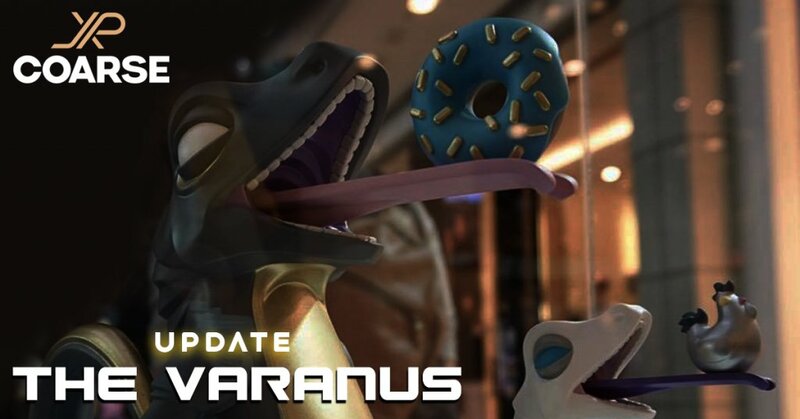 We have the official confirmation the OG VARANUS will be released worldwide, so those who are on the hunt stay tuned for a firm release date and info.